Should I pay off my mortgage quicker? 6th March 2017 14th April 2017 Dave ColleyWealthLeave a Comment on Should I pay off my mortgage quicker? The simplest, while still accurate answer is: If you are paying or can earn a higher interest elsewhere, then you should rather send cash in that direction. This is true, but incomplete, it ignores changing conditions which no-one can predict and the psychological aspects of human nature. While there is no simple one size fits all answer, I’ve overheard some terrible advice given. It surprises me how bad, yet still confidently given the advice is. In one conversation I heard something along the lines of “Well, it depends, if you want to sell it soon, if you do, you should first pay off as much as possible.” This wasn’t the worst bit of advice I’ve heard, but it just didn’t make any sense. I have been in two discussions recently with friends who both had about £10k (R150k; $13k) in cash available, for simplicity, let’s just say it was from a bonus. Both had a significant amount outstanding on their mortgage. Knowing their situations intimately and after discussing it with them, it was clear, even though on the surface they were similar, the first needed to put it all into their mortgage, the second needed to put it all into investments such as their Pension and ISA. Most people are probably somewhere in between and should be thinking “and” not “or“. Interest rates and returns on investments are tied to risk. So, the market has to reward risk. So usually savings rates are lower than mortgage rates and mortgage rates are lower than investment returns. Usually. Things to consider when deciding? It’s Leveraged – In the early days of your mortgage you may own 10% of the equity and the rest is a loan. Simplistically to illustrate the point – Assuming you are paying 3% interest and the value of the house goes up 5%. For every £100 of house value you own £10 and owe £90, so you pay £2.70 in interest and get £5 in returns. So net £2.30 or 23%. As you pay off more, your return drops, say you own 90% now, so you may £0.30 in interest, get £5. So net £4.70 or get 4.7%, a lot lower than 23%. The more you pay off, the less leveraged you are. On the flip side, people have recently become very arrogant in the their assumptions that house prices will continue to go up. All we need is a recession or interest rate hikes, both likely to happen at some stage (soon?). Suddenly that 23% return, becomes a 23$ loss. It can and will happen. It is probably more a case of when. Higher rate alternatives – If you are paying higher interest rates on expensive debt elsewhere (e.g. credit cards) it usually makes sense to pay that off first or if you can get a higher return elsewhere invest it there. Psychologically – Being in debt restricts your decisions and your ability to take calculated risk. For the entrepreneurial or adventurous, this can feel like a 25yr noose around their neck. They are locked in. So the ability to take calculated risk decreases, as they know they need to make regular payments. Security – A specific psychological aspect is that knowing you have a roof over your family’s head gives a great sense of comfort. At worst you can re-mortgage. People find it easier to pay down a mortgage with surplus cash, than keep it elsewhere, where it just seems to slowly evaporate. Alternatives – Consider other tax friendly such as Pensions and ISA. Can you? 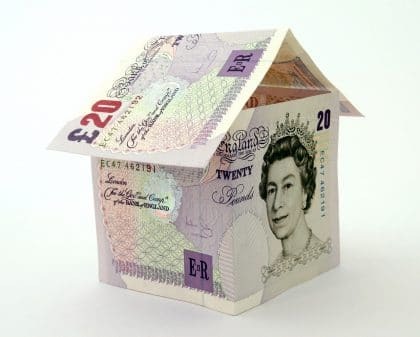 – Most mortgages in the UK tend to allow 10%-20% per month over-payment. If you strictly look at the maths, it will usually send your cash elsewhere for better returns, but my gut tells me most people should pay down their mortgage as quickly as possible. It is psychologically liberating. I had a student loan to the “Parent Bank”. The interest on this loan was, to be fair to everyone, at my mother’s mortgage rate. I was paying it off every month. I did a calculation and it would take me 10-12 years to pay it off, I immediately doubled my payments and further overpaid where I could. I paid it off in 3 years. For me, it was definitely worth it. I of course never sacrificed paying into my pension, as I was maximising employer’s contributions in a tax advantageous way. My conclusion is that, in general, I like a balanced approach weighted to what will get you closer to your financial goals. No one can predict the future, so try get in a situation that you will likely be OK, no matter what happens. So if you have £10k, maybe put some of it into your mortgage and some of it elsewhere. early payments mortgage, Exp, mortgage overpay, Should I pay off my mortgage quicker?, Should I pay off my mortgage sooner?